Library MDX member selection method uses a centralized repository of MDX statements for determining which members should be used for the dimension in a view (see Managing MDX Libraries for details). When you select this option, any MDX library entries which are saved in TM1Connect will be available in the dropdown. 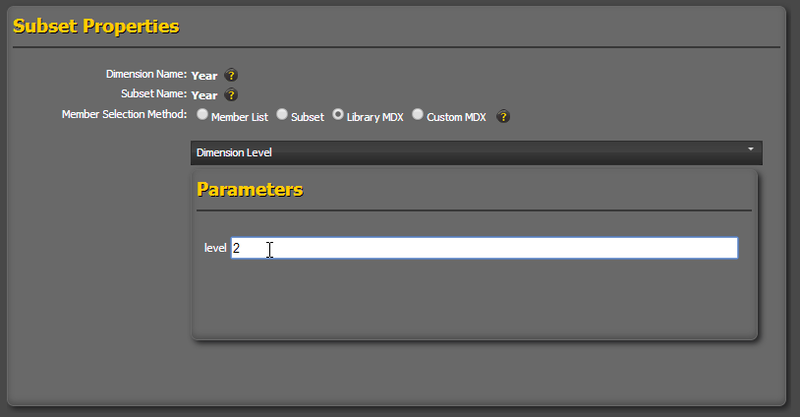 If parameters are specified in the MDX Library entry, they will be displayed below the dropdown.